SAN JOSE Calif., April 21, 2008 - Today, Cisco announced that it has achieved a major milestone in the adoption of Cisco® TelePresence with more than 500 units ordered since the solution's introduction 18 months ago. Customer adoption has made Cisco's high-definition virtual meeting environment the global leader in the fast-growing telepresence market. This innovative solution, part of Cisco's Unified Communications portfolio, facilitates faster decision making across the business value chain of suppliers, partners and customers. Cisco TelePresence can help companies shorten sales and product-development cycles, while improving operational efficiencies and supporting environmentally responsible business practices. "The telepresence market has demonstrated exceptional growth in recent quarters," said Ira Weinstein, analyst and partner at Wainhouse Research. "Unlike traditional videoconferencing, telepresence provides a life-like, in-person meeting experience without the need to travel. With 500 units ordered in just 18 months, Cisco TelePresence is certainly the unit sales leader in this fast growing market segment." Introduced to the market in October 2006, Cisco TelePresence has become the company's fastest-growing emerging technology, with more than 100 customers globally. With the 500 ordered units, the vast majority of which have already been deployed at customer sites, internal deployments and philanthropic systems, the Cisco TelePresence footprint will be over 750 units globally. The Cisco TelePresence solution portfolio continues to grow with the addition of innovations such as intercompany communications for Cisco TelePresence, call encryption integrated into the Cisco Unified Communications system, "one button to push" capabilities using Lotus Notes and expanded multi-point capabilities with support for up to 96 participants. "When we launched Cisco TelePresence and helped establish a new category in communications and collaboration, we were excited about the possibilities that this innovative technology would bring to the business world," said Charles Stucki, vice president and general manager of the Cisco TelePresence Systems Business Unit. "Today, with the rapid adoption we're seeing in this market, we're looking at the next evolution of telepresence technology and look forward to making a significant impact on business operations, the environment and the ease with which people connect with each other." Throughout the company's worldwide operations, Cisco has so far deployed more than 200 Cisco TelePresence rooms in more than 29 countries and 95 cities worldwide. With usage averaging five hours per day per room, compared to traditional video conferencing, which is typically used less than 30 minutes per day per endpoint, Cisco estimates it has saved more than $60 million in productivity improvements. 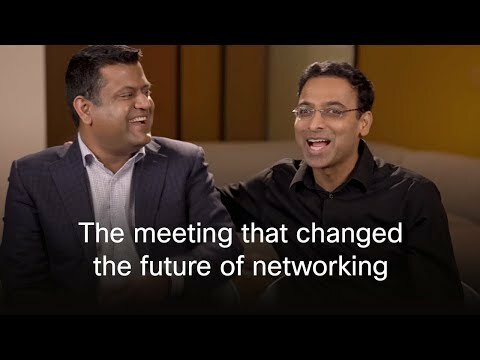 Cisco's vision for collaboration uses the network as a platform to deliver a unified workspace across devices, operating systems, wired and wireless networks, and business applications so that customers can have a seamless collaborative experience every time and everywhere they have a network connection.